Turkish Cargo will use its recently delivered Boeing 777-200F on a new weekly route to Miami. The service will begin at Istanbul, departing on Sundays, first heading to Madrid, then new destination Miami before heading to Houston and then back to Istanbul, arriving on Tuesday mornings. The move means that Turkish Cargo will offer services to and from five destinations in the US; Miami and Houston through the new freighter operation and Chicago, Atlanta and New York through bellyhold capacity. In total, the airline will now offer 220 tons of weekly capacity to the US, with 100 tons of that provided through the new freighter operation. "Miami Airport, being the largest in the US, and ranked tenth in the international cargo market, stands out for its capabilities in handling perishable goods, which represents 47% of international transit cargo," the airline group said. "Miami is also recognised for its cargo capabilities in handling fresh flowers, perishable fruits and vegetables, high technology products, telecommunications equipment and aircraft parts. "The region is also known for its imports of textile, fish, medicine, flowers, automobile, chemicals, petrochemicals and other perishable goods." 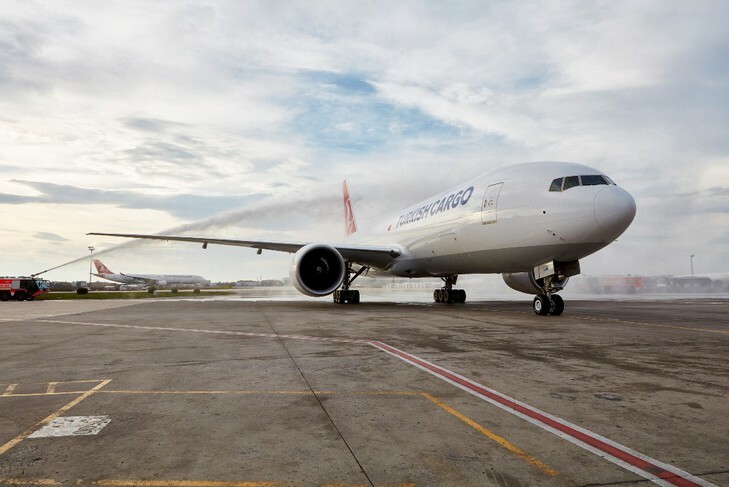 The B777F – the first in the Turkish Cargo fleet – was delivered late last year with a second following soon after. At the very end of December, the airline also confirmed it had placed an order for a further three B777F.